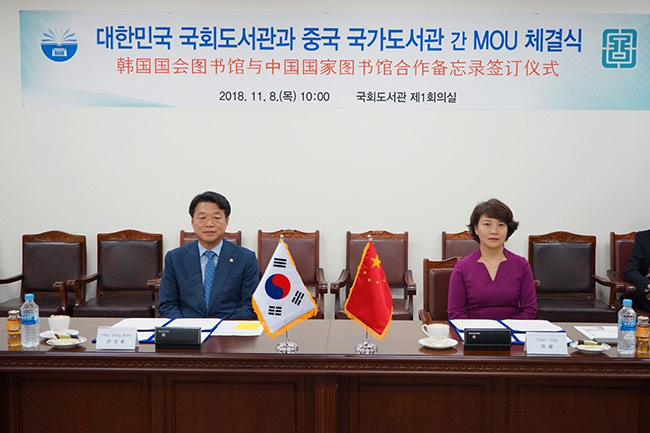 From 5 to 12 November, Chen Ying, Deputy Director of the National Library of China (NLC), headed a delegation to South Korea to visit the National Library of Korea (NLK), for the 21st business exchange between the two National Libraries. “Functions of National Libraries” and “legislative services” were the main themes for this business exchange, the NLC and the NLK delegates made business reports based on them. With the reports and practical business works, both the Chinese and Korean sides had in-depth discussion on documents digitization, service of children’s library, preservation of ancient books, amendment of library laws, international business exchange for libraries etc. 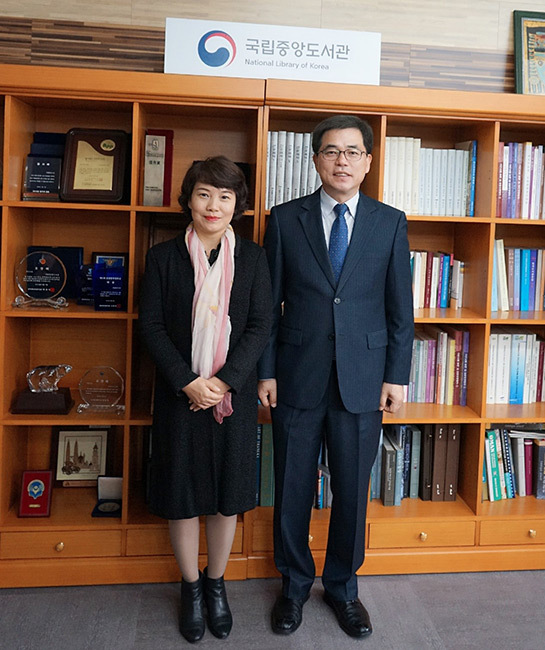 During the visit in the National Assembly Library (NAL), Chen Ying signed The Cooperation Memorandum of Understanding between the National Library of China and the National Assembly Library of the Republic of Korea with Heo Yongbom, Chief Librarian of the NAL; the NLC and the NAL would cooperate in areas including development and utilization of digital resources, as well as staff training and exchange. In addition, the NLC delegation also visited Korean cultural institutions such as the National Library of Sejong City, National Library for Children & Young Adults, Jon'gyoung'gak of Sungkyunkwan University and Gyeongju Municipal Library. Copyright©National Library of China.All rights reserved.